jatnip_golf replied to jatnip_golf's topic in What's In Your Bag? jatnip_golf posted a topic in What's In Your Bag? 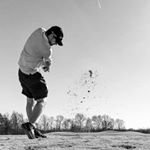 I have a growing instagram page jatnip_golf. I play just about every course in the middle TN area. Current handicap ~4.3 over the last 10 rounds. Always open to playing a round regardless of the weather!